From first-person shooter video games to far-flung battlefields around the world, red dot sights are all the rage. 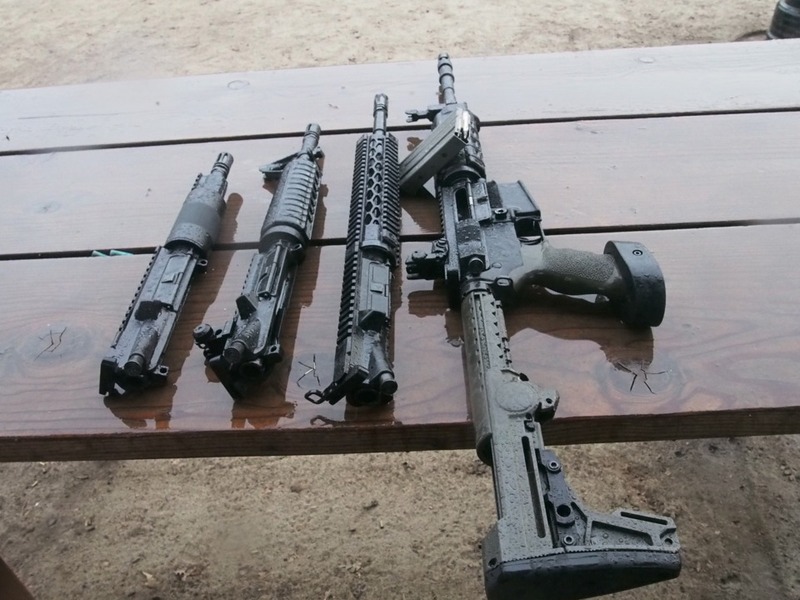 They are faster and easier to use then traditional iron sights, allow a wider field of view without taking your eyes off the target, and modern offerings are just as, if not more, rugged than traditional irons. They’re also far easier to use in low-light situations, and much easier to use at long range than iron sights. Yes, red dots on rifles are commonplace now, for all these reasons and more… but what about pistols? Micro or pistol red dots are actually more common than you’d think, especially with competition shooters. They’re also becoming more common on concealed carry guns, especially on guns carried by shooters who might have a little trouble with their vision. 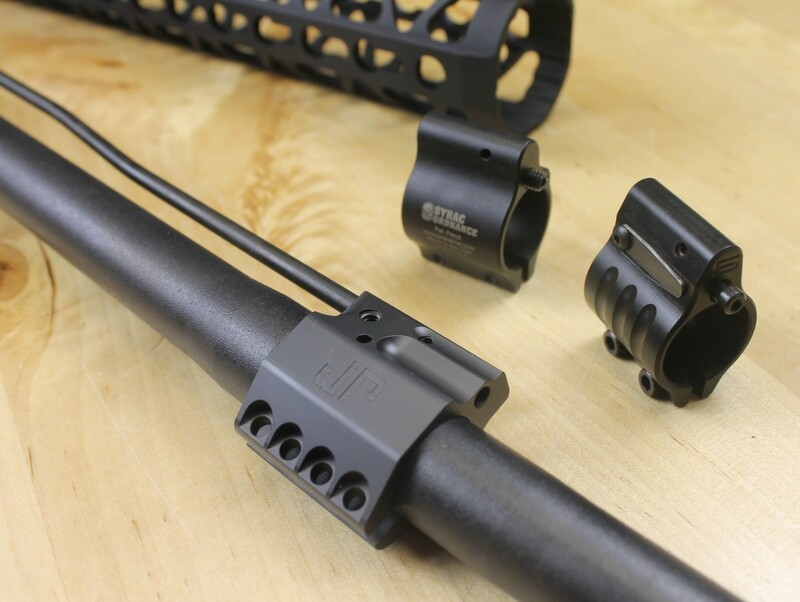 Almost all of these red dots work just fine on a rifle or shotgun too, and in fact, all of the best ones will be just as at home on a rifle as they will on a pistol, provided you have the correct mounts. So what are the best pistol red dots? How do you choose one that meets your needs? Would a red dot even work for you? Ask ten gun owners one question about most anything to do with firearms and you’ll get ten different answers. The subject of red dots on pistols is no different, and you’re sure to form your own opinion on the matter. Before you do though, let’s look at both sides of the red dot debate. 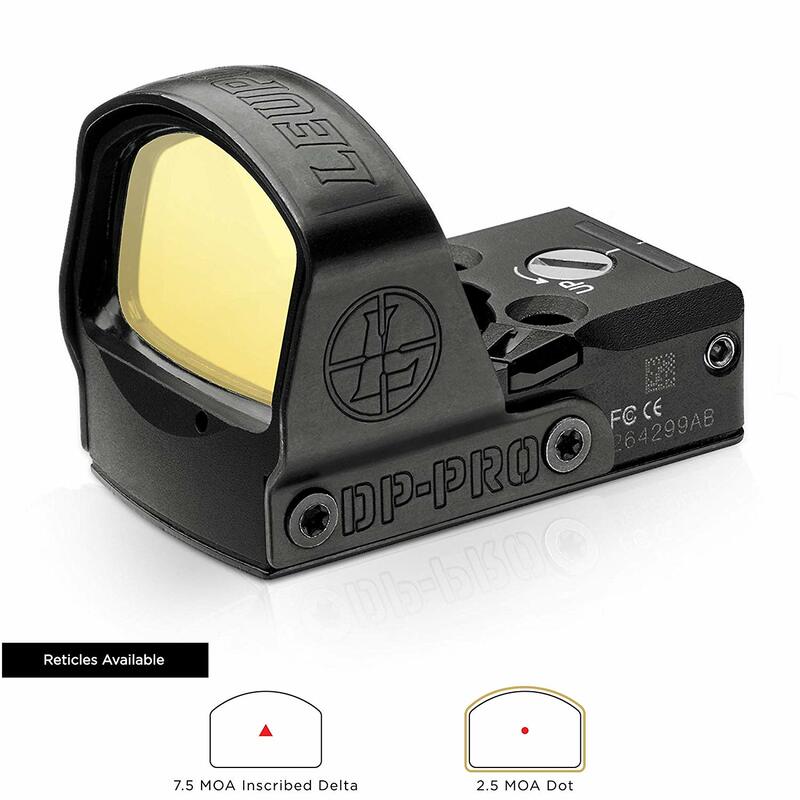 First and foremost, a red dot is inherently more user-friendly than iron sights of any variety. It’s the easiest sight to see in low light, it’s easier to use at long range, and its the easiest to see if you have poor eyesight. shot–critical in a self-defense situation. Red dots also make it easier to keep both eyes open and on the target, especially if you’re cross-dominant–you shoot left-handed with a dominant right eye, or vice-versa. Shooting with both eyes open is also a good way to increase your situational awareness and may even save your life in a self-defense situation. Believe it or not, there are some downsides to using a pistol red dot–or any red dot for that matter. First and foremost, more can go wrong with a red dot than traditional irons. Depending on the sights in question, a red dot may actually be more impact-resistant, but there’s still more going on and that means there’s more that can go wrong. That said, I’ve looked and looked, and I can’t find anything that says red dots fail more than irons. It seems both have a similar failure rate. After all, irons can get banged up, broken, or just lose zero, too. Then again, irons don’t need batteries and don’t care about water either. Some red dots, like the Vortex Venom, are waterproof, though! Second, there’s the training difference. Using a red dot may be easier, but if you aren’t used to it, you still have to retrain your brain to get accustomed to the difference. You might have some embarrassing range days as you get used to your new red dot. Finally, there’s the price. I think the best irons in the world are still going to be cheaper than even a middling red dot, so you have to decide if the extra expense is worth it. If it’s worth it to you, it’s time to choose the red dot that best meets your needs! As with anything in the firearms world, choosing the best micro red dot will come down to finding the one that meets your needs. The first step in doing that, of course, is figuring out what your needs are. 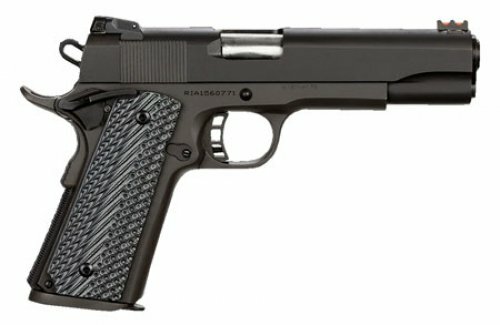 Do you need a red dot for a competition race gun? 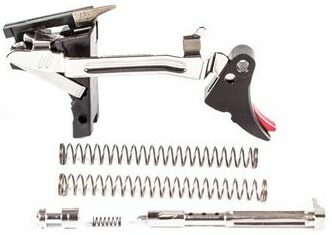 Is your vision less than stellar and you want something that makes shooting your handgun a little easier? Do you need a rugged CCW red dot that works in all conditions, especially low or no light? Do you just think pistol red dots are neat and want to try one out? Whatever the case may be, there are a few things to keep in mind and be on the lookout for. First, battery life. If you’re planning on carrying your red dot into the apocalypse, it may be a good idea to spring for a more expensive solar or tritium-powered one. A tritium lamp, while it will eventually burn out, will last much, much longer than any single battery. The downside is, though, tritium lamps are also expensive and inconvenient to replace. Often, you have to rebuy the whole optic. tritium for a battery-free glow. 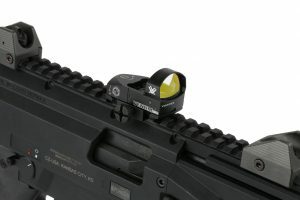 A solar-powered sight is fine if you’re outside often, but isn’t great for a duty-pistol because the sight may not get the light it needs to charge. You also can’t count on a solar-powered red dot on a weapon you keep around the house for defense. For most people, a battery-powered unit is the way to go. Modern red dots can last for hundreds of hours on a single battery, so you should be fine as long as you check your battery often. You may want to get into the habit of checking you clean or lube your gun. 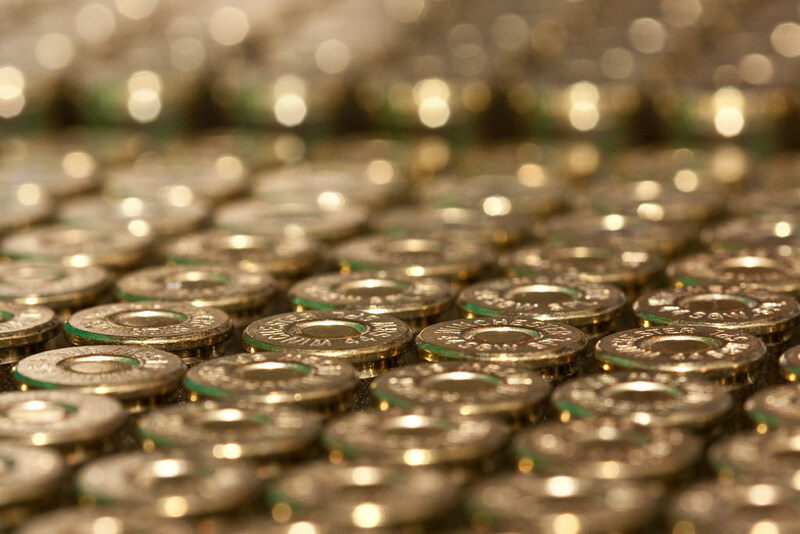 More expensive red dots also can save their own batteries with automatic-off features. This feature will cut the sight off when no motion is detected, but it will instantly bring it back on as soon as movement is detected. Auto-off features can help the batteries last for literal years. Next, you want to look at ruggedization, waterproofing, and fog and scratch resistance. If you’re putting your red dot on a safe queen that will only be traveling to and from the range in a padded case, you may not need the most robust red dot on the market. 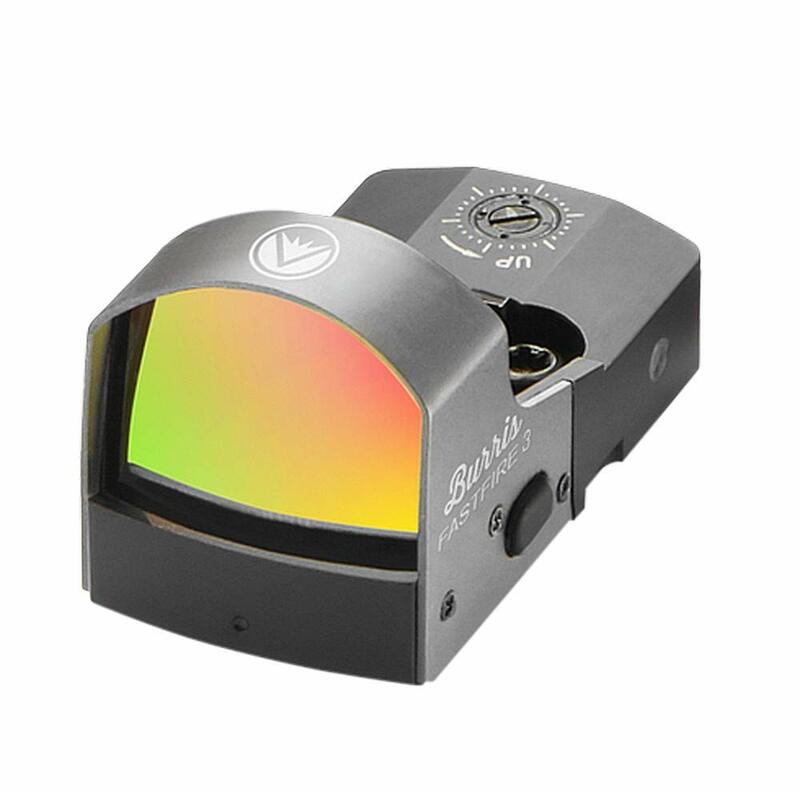 Red dot sights are fantastic for a variety of uses, including the range. 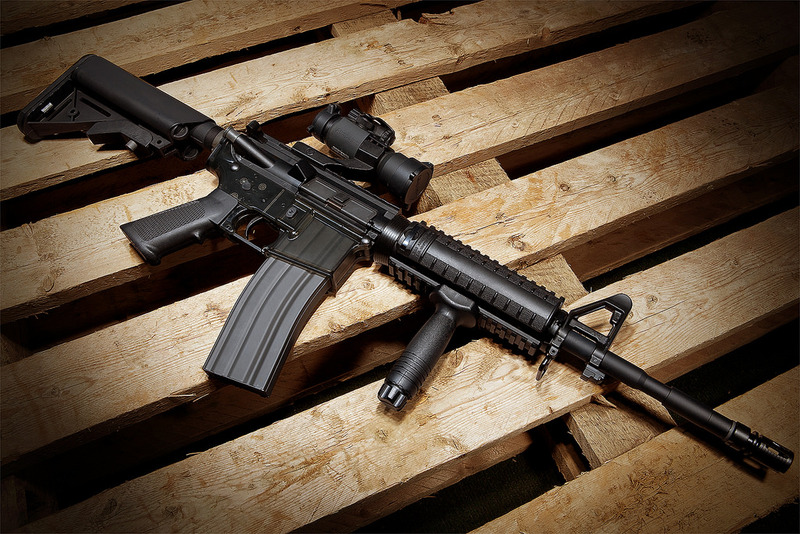 If you’re looking for a sight to go on a gun that might be called to defend the lives of you and your loved ones, however, it’s probably better to get the toughest thing you can afford. 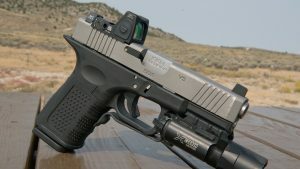 Likewise, if you’re just getting a red dot to try it out before committing to one on a pistol for serious use, go with something cheaper and see if you like it–before spending New-Glock-money on an optic you may leave in a drawer somewhere. Finally, look at brightness settings (and automatic shutdown settings) as well as the clarity of the glass itself. You might be surprised at the difference between high-end glass on a Vortex or Trijicon optic versus cheaper Burris and Bushnell optics. It makes a big difference. These are things best experienced first-hand though, so I recommend finding a store or range with test models you can check out on your own. Worried about which models to test? Have no fear. I’ve used pistol red dots extensively, both on my carry guns and in competition. 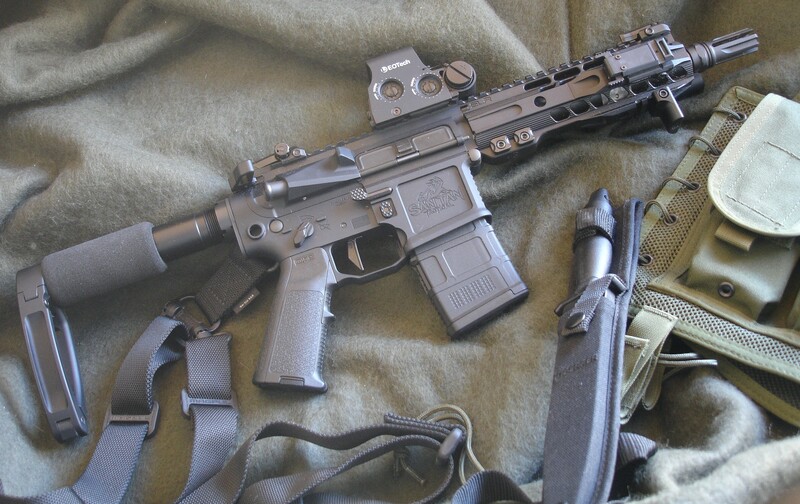 Here are the ones I recommend you try out to see if a pistol red dot is right for you. 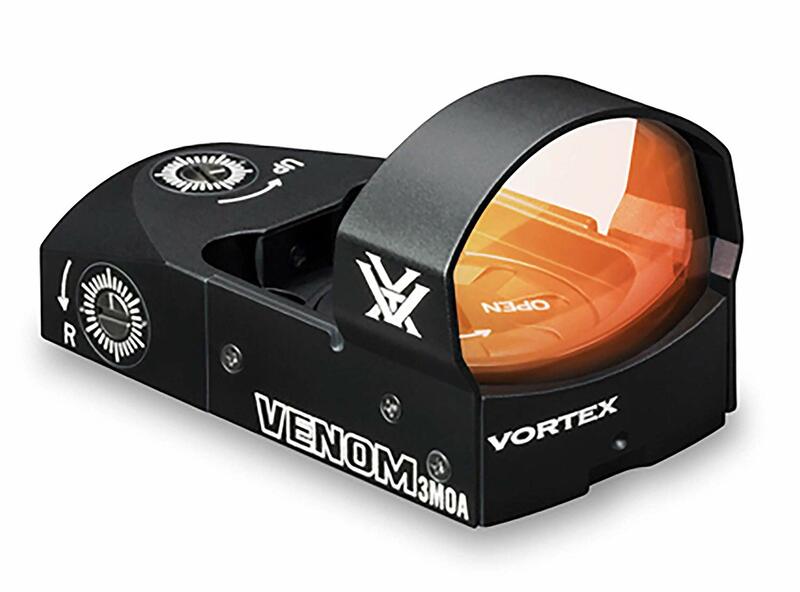 The Vortex Venom is one of the ones I recommend the most often, even to budget-conscious shooters. It has very high-quality glass, and the battery can last up to 30,000 hours on its lowest setting. It weighs just a hair over one ounce, so you’ll barely notice it’s there, and the 3 MOA dot is perfect for rapid-acquisition in an up-close-and-personal situation, while still being small enough for those longer, precision shots. 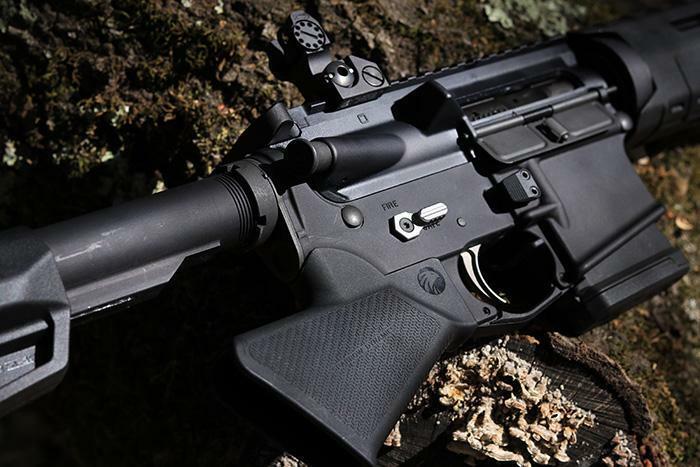 The optic has a lifetime warranty (standard on almost all Vortex products) and has an automatic shutoff of 14 hours, which is good for not killing the battery if you throw it in a range bag and forget to turn it off. It’s also is long enough that it works on a CCW or duty gun without possibly shutting the light off when you need it. Leupold is one of the biggest names in optics and they can claim several decades of experience as one of the best optics manufacturers. This is especially clear when it comes to the Deltapoint Pro. Above all, this red dot has the clearest glass of any red dot I’ve used, period. It also has a very wide FOV for such a tiny sight (it weighs less than two ounces) which makes target acquisition quick and easy. It also has a great auto-on feature that allows you to leave the sight off when holstered, and still be confident it’ll come on when you draw. This allows the battery to last a very long time. The only major downsides are the price, and the button interface is a little bit less intuitive than I’d like. 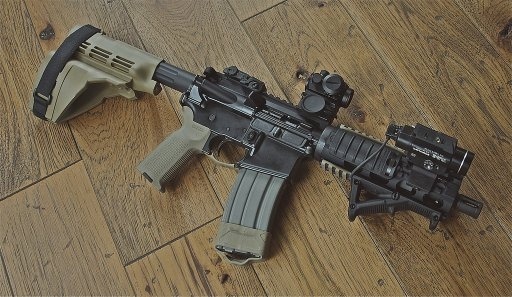 Other than that, it’s a great optic. The battery is also top-loading, so you won’t need to remove it and re-zero it just because you had a dead battery. The latest addition to the stellar Fastfire line, the Fastfire III is the lightest red dot listed here, coming in at just under one ounce. It has very clear glass for the price and comes with several brightness modes and an auto-shutoff feature that kicks in at the nine-hour mark. This should be plenty for your average carry or duty use, especially if you remain conscious of how long it’s been on. The Fastfire III is well-made and practical–perfect for those who want a red dot but don’t feel they need the very best of the best. All you’re really compromising on is the ruggedization and the number of brightness settings. As long as you aren’t regularly slinging your pistol into a wall, you should be just fine. And maybe don’t go diving in salt water with it. For some folks, only the best will do, and if you’re one of those people (no shame in it) then the Trijicon RMR Type 2 is the pistol red dot you should look at first. The original RMR was one of the first red dots small enough to fit on a pistol without a bridge mount, and it’s proven itself as the most rugged and dependable model out there. 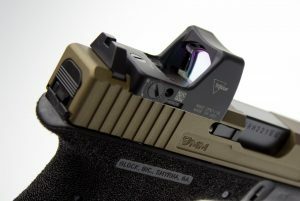 It’s also the most compatible sight out there, with a variety of mounts and a number of custom-milled slide options out there–particularly if you have a GLOCK, M&P, 1911, or another common pistol. The only real downsides to this sight are the price and the fact that the battery door is on the bottom, meaning you have to re-zero every time you change batteries. Also, while the glass is crystal clear, it does have a sort of blue-green tint to it that is more noticeable than the tint on other red dots. It does have the least forward glare or reflection though, so you’ll be bouncing less light towards your target. This isn’t as important for civilian shooters, but military and law-enforcement may find this a useful feature. Of course, the main negative is the price. 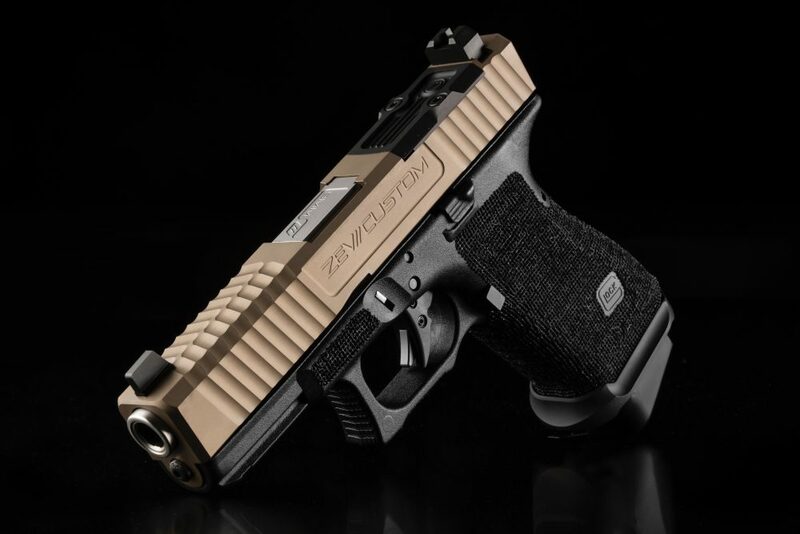 At $450, the RMR type 2 is easily the same price as some handguns that it’s compatible with. If you can stomach the cost though, there are few better options out there. 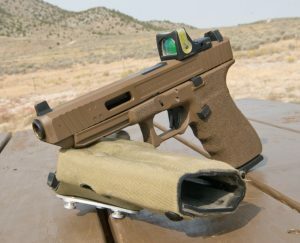 Are red dots on pistols the future? If these red dots are anything to go by, the answer may be yes. They offer a number of benefits over traditional irons, are rugged, reliable, and easy to use… and are no longer so expensive you need a second mortgage to buy one. Overall, I think if you want a red dot on your pistol, you should give one a try. I did, and I thoroughly enjoy them. Drop a line and tell me what your favorite, or least favorite, red dots are. We love to hear what you guys think! If you’re looking for a red dot for your home defense weapon, be sure to read our reviews of the best home defense handguns for beginners.